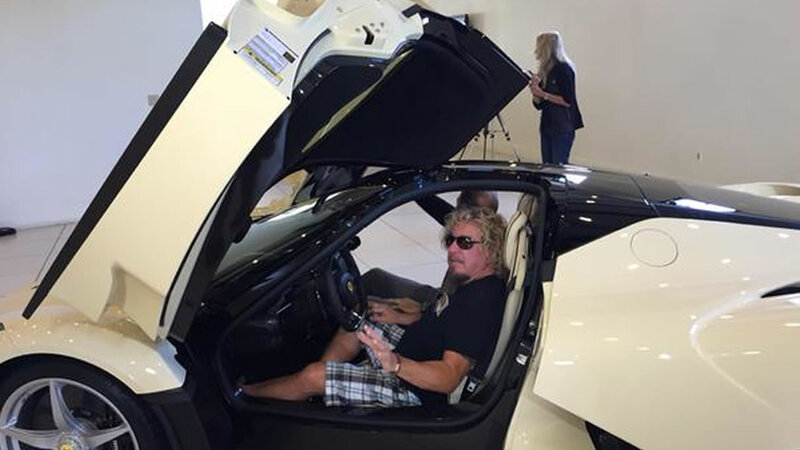 MILL VALLEY, Calif. (KGO) -- Legendary rocker Sammy Hagar just got the keys to a limited-edition Ferrari. Hagar was ecstatic Wednesday to pick up his 2015 LaFerrari from Mill Valley. Only 499 of them are made every 10 years. The price tag is $1.3 million. This year's edition has a 949-horsepower gas-electric engine. Hagar has owned 25 Ferraris, but starting this one up took his breath away. "Sitting in it intimidates me. This car scared me. When I started this car, you probably couldn't see, but I got goose bumps on my arms," Hagar said. Each La-Ferrari supercar is custom-made. The driver's seat is molded to Hagar's body. Hagar lobbied for a year to get one. It was so difficult that he is making a film of his ordeal.